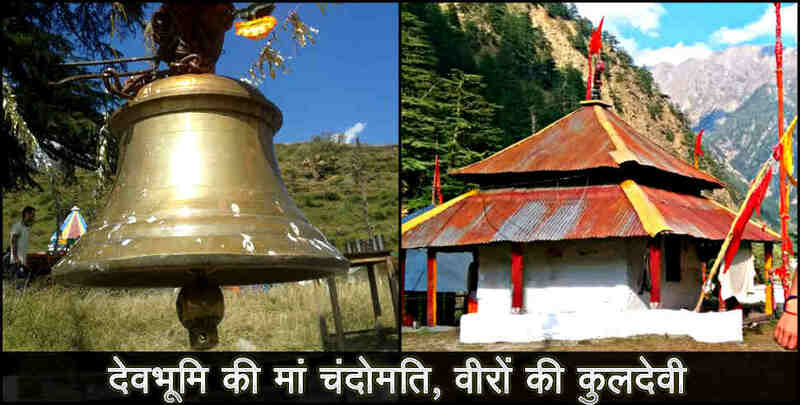 Read this news article about Story of chandomati devi temple in uttarakhand (देवभूमि की मां चंदोमति, जहां पहाड़ लूटने आए लुटेरों का नाश हुआ, अद्भुत शक्ति का स्वरूप हैं देवी मां - उत्तराखंड न्यूज, चंदोमति माता, गंगोत्री,उत्तराखंड,) for complete news and information. Rajya Sameeksha (राज्य समीक्षा, rajyasameeksha.com) is one of the most popular hindi news portal Uttarakhand. Readers get in-touch with all the positive/genuine news and information about Devbhoomi Uttarakhand. Currently rajyasameeksha.com publishes Uttarakhand News (उत्तराखंड न्यूज, उत्तराखंड समाचार).